North Atlantic Books, 9781623171889, 376pp. 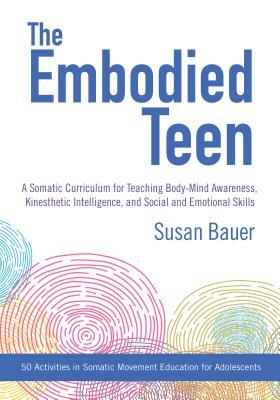 SUSAN BAUER (MFA, RSME/T) is a teacher, dancer, author, Fulbright Scholar, and somatic educator and practitioner. In her thirty-year career she has taught in middle school and high school, college, and community contexts, and has led teacher trainings and given conference presentations both in the United States and abroad. Her pioneering teacher training program, Embodiment in Education, is now in its tenth year and has included guest faculty Bonnie Bainbridge Cohen, Deane Juhan, and Caryn McHose. Bauer served on the board of directors of the International Somatic Movement Education and Therapy Association (ISMETA) from 2012 to 2015. She is also a Registered Somatic Movement Educator and Therapist with a private practice in the San Francisco Bay Area. Bauer holds an MFA in dance from the Department of World Arts and Cultures at the University of California, Los Angeles and an MALS in Dance and Movement Studies from Wesleyan University. She is a contributor to the anthologies Embodied Lives and Dance, Somatics, and Spiritualities. For more information please visit susanbauer.com. education. Although it addresses youth, the material is valuable for any age level.